на ней порты USB, FireWire, Сеть, Звук и многое другое. так что вы можете не носить свой адаптер, а оставлять его дома, или, наоборот, на работе. 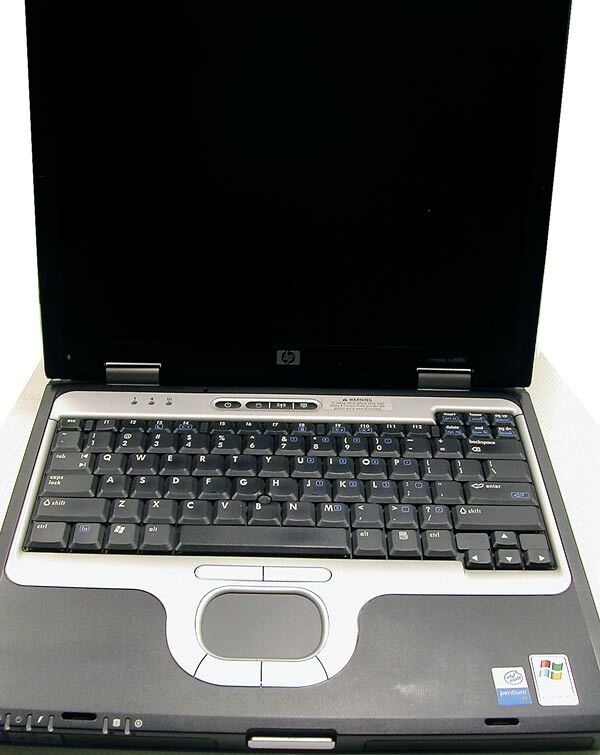 The HP Compaq nc6000 is stylishly designed with the mobile professional in mind. It features a bright 14-inch display, versatile MultiBay, and up to 5 hours of battery life with the standard 6-cell battery to allow ease of use on the road or in and around the office. All of these features are wrapped-up in a durable magnesium and composite design with weight starting at 2.28 kg (5.03 pounds) and 32.2 mm (1.3-inch) thin, making it ideal for travel and demanding mobile environments.The HP Compaq nc6000 is designed to fit seamlessly into an IT environment as part of HP's complete corporate notebook offering. Common software image, docking solutions, MultiBay devices and accessories make the HP Compaq nc6000 easy-to- deploy and easy-to-use, while keeping the total cost of ownership low.